The Muskegon Risers wanted to end the home portion of their indoor season with an exclamation point on Saturday night at the L.C. Walker Arena. 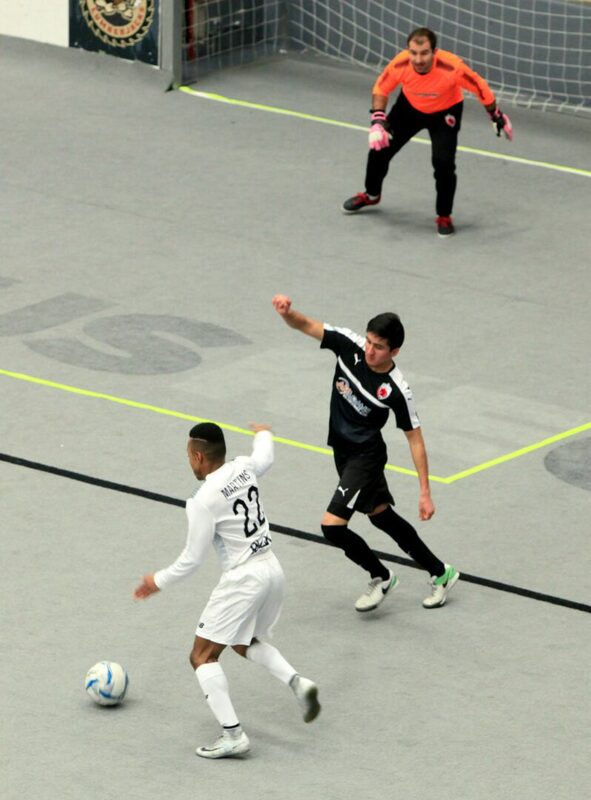 Instead the Risers walked away with a 12-7 defeat to a talented Chicago Mustangs club. The possession strong Mustangs used a 3-0 first quarter start to keep the night out of reach for Muskegon. But the Risers stayed on the heels of Chicago, answering with two quick goals just before the end of the first quarter. Willy Guerrero found the net first for Muskegon with 55 seconds left to play in the opening quarter. Paris Martins responded with another Risers goal with nine seconds remaining to make the score 3-2 to finish the quarter. After a Chicago goal early to start the second quarter, Muskegon’s Adam Clauss tallied a power-play goal to make the score 4-3 in favor of Chicago. The Mustangs responded once again. This time just before halftime, giving Chicago a 5-3 lead at the break. The Risers saw ample opportunities to score in the second quarter but were 1 of 3 on the power play and outshot Chicago 13-4 in the quarter. Muskegon started the second half on a positive note as a Matt Schmitt goal made the score 5-4 early in the third quarter. Unfortunately for the Risers defense, Chicago had a lot more offense to display. The Mustangs scored three-straight goals to take an 8-4 lead. A Cody Loss goal for Muskegon with just above two minutes to play in the third quarter finally broke Chicago’s scoring streak to make the score 8-5. 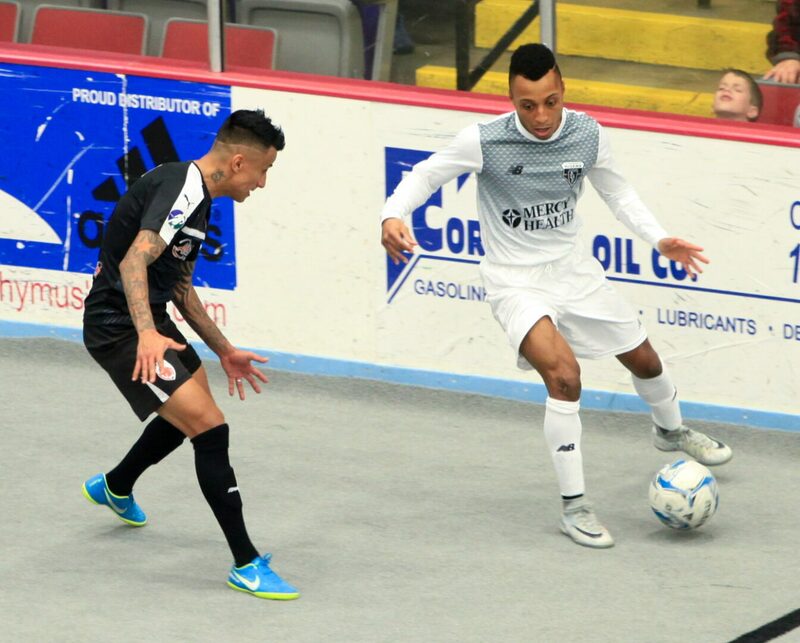 The fourth quarter was all Chicago as the Mustangs started with a pair of goals in the first three minutes and outscored the Risers 4-2 to close out the game. 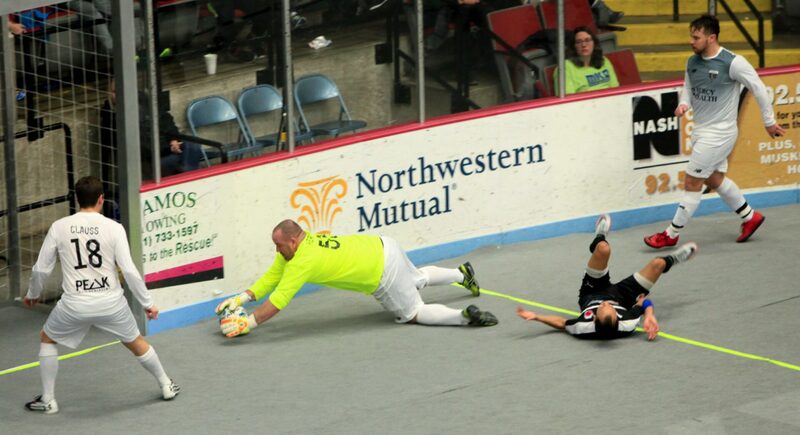 Martins and Guerrero each added their second goals of the game in the fourth to finish out scoring for Muskegon. The Risers were 1 of 4 on the man advantage while Chicago was 1 of 3 on the power play. The second half had eight penalties called, six in the fourth quarter. 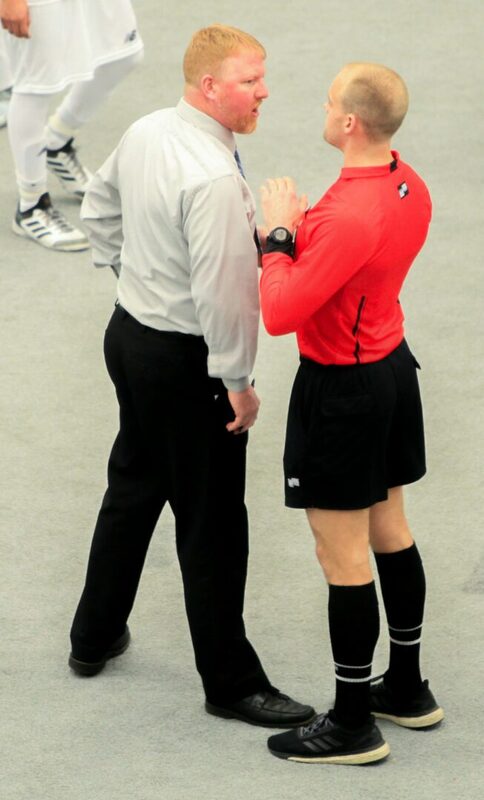 A total of 11 penalties were called on the night, six going against Chicago. 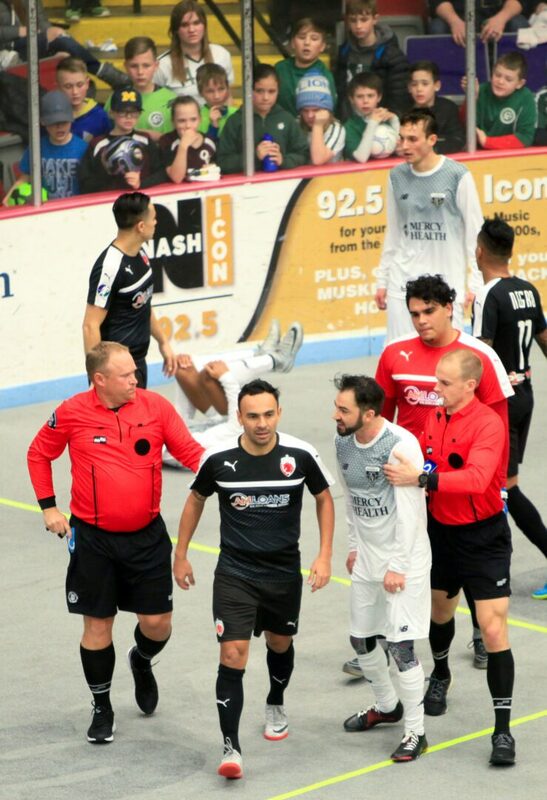 Muskegon’s Aldony Mendez was ejected with 2:25 left after responding to a rough play on a Martins break away. 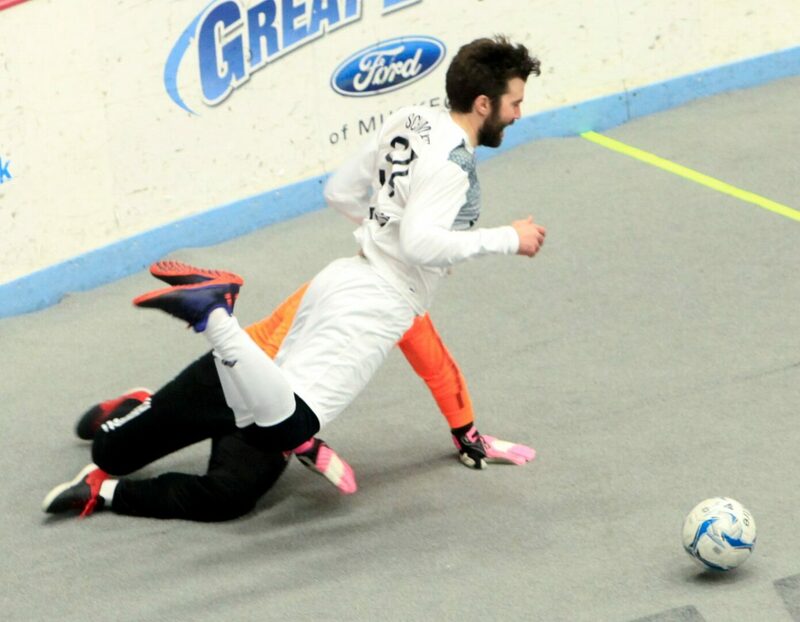 The Risers, now 3-8 overall, will end their indoor season next weekend with a game in Detroit. Their outdoor season begins in May.